Refunding a payment in Preno is different to voiding a transaction - the only time that voiding a payment should be used is when the payment was incorrectly recorded. A voided payment will make no changes in Xero, but a refund will. All deposits in Preno (when a payment is recorded for a reservation with a check-in date beyond today) are sent to Xero as a prepayment. 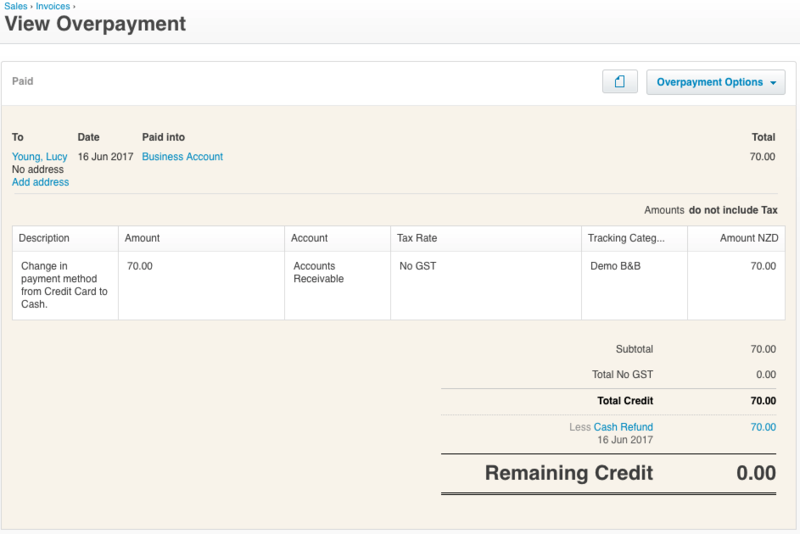 All other records of payments (so the check-in date is today or in the past) will be sent through to Xero on checkout as a payment. Prepayments are credited to the final invoice on checkout, and payments are created and applied to the final invoice on checkout too. The Reference on this transaction is the 'Reason' that's entered when the refund is initiated. This cash refund is specifically made on the prepayment associated to the transaction. It has the effect of reducing the credit available on the Prepayment (so that on checkout, the Prepayment will result is $0.00 credit remaining). 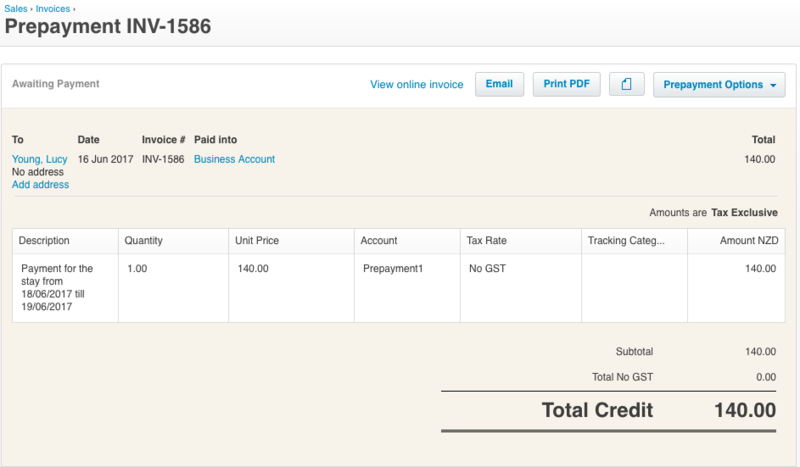 Payments are sent through to Xero on checkout. The refunded amount will be sent through as an Overpayment. This Overpayment is then immediately settled with a cash refund, to leave it with $0.00 remaining credit.